Which European countries are the most polluted? New data from the World Health Organization shows Eastern European and Balkan countries suffer the highest rate of air contamination and air pollution-related deaths throughout Europe. According to the new WHO statistics, Bosnia and Herzegovina, Bulgaria, Albania and the Ukraine have the highest European mortality rates attributed to home and air pollution. Many of these same countries, including the Former Yugoslav Republic of Macedonia, Poland and Hungary have the highest average annual levels of city air pollution. On both spectrums, Bosnia and Herzegovina is listed as the worst European performer. In 2014 the country had just more than 55 micrograms per cubic metre of fine particulate pollutants, smaller than the width of a human hair, capable of entering the lungs and causing health problems. By comparison China, long associated with suffocating smog and chronically high levels of urban air pollution, had average levels at 59.5 micrograms per cubic metre. Bosnia’s high-level of air pollution meant that in 2012 the country suffered nearly 231 deaths per 100,000 people. That number represents the world’s second highest death rate among listed countries in the WHO report. Only North Korea had a worse score. As many as 238 people per 100,000 are thought to have died there from air pollution-related illnesses, said the WHO. Among Europe’s best performers for both least air pollution averages and air pollution-related deaths include all of Scandinavia, Finland, Spain, Portugal and Ireland. Sweden in 2012 registered less than one death per 100,000 people due to air pollution and had Europe’s lowest average of 5.9 micrograms of pollutants per cubic metre. France ranked high among European nations with the lowest average rate of air pollution but, at nearly 13 micrograms of pollutants per cubic metre, the country came behind both Switzerland and the United Kingdom. France did, however, come within the top 10 European countries with the lowest rate of air pollution-related deaths. These figures come as the WHO works on reaching its 2030 global health targets which include reducing the per capital environmental impact of cities on air quality, ensuring universal access to modern energy services and increasing the share of sustainable and renewable energy sources. As many as 3 billion people across the world heat their homes inefficiently and use dirty fuels which exacerbate air quality levels, the WHO said. It estimates as many as 4.3 million people died globally in 2012 due to air pollution. Of that number, as many as 60 percent are estimated to be women and children, said the WHO. It adds that 92 percent of the world’s population in 2014 lived in areas where WHO air quality standards weren’t met. 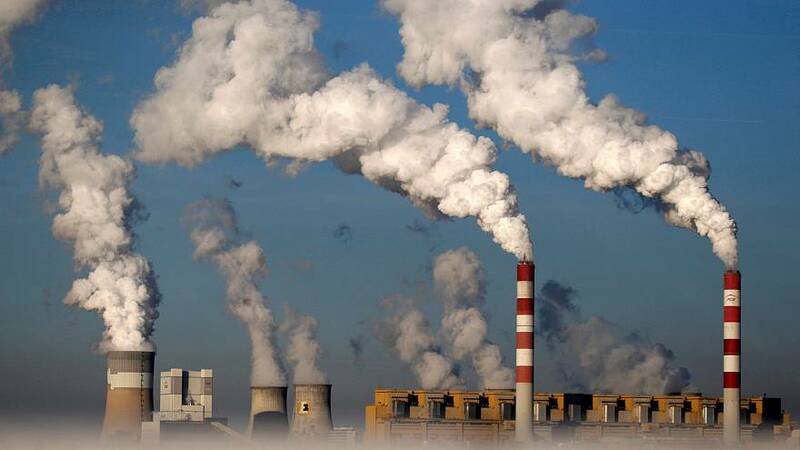 Particularly fine air pollutants can cause cardiovascular diseases, chronic obstructive pulmonary diseases, respiratory infections and even cases of lung cancer. A 2016 report by the European Environmental Agency found that, despite improvements in air quality, a large portion of European populations remain exposed to these fine air pollutants. The report analysed air quality from 2000 to 2014 and covered 42 European countries and data obtained from 400 monitoring stations. It found that pollution from cars, power plants, households and agriculture, contribute to nearly 467,000 premature deaths throughout the continent, a vast majority of them within EU-member countries. The report also said that in 2014 nearly 85 percent of Europeans were exposed to hazardous levels of fine particulate air pollutants in excess of WHO guidelines. Fighting air pollution levels on the continent has been the focus of European lawmakers for decades, but it has taken on new significance since the signing of the Paris climate deal. Following the EEA report, France, the UK, Germany, Spain and Italy were sent final warnings from the European Commission in February for failing to correct repeated violations of Nitrous Oxide limits. Those final warnings came on the heels of Paris being struck this past December with its worst bout of air pollution in a decade. Although cities across Europe including Paris, London and Berlin, have implemented contingency plans to address high pollution levels, more people die per 100,000 of air pollution in Norway (12.7) than do people in the United States (12.1), according to the WHO. Norway ranks as the fourth least hazardous European country in terms of air quality by the WHO. The United States ranks as the one of the world’s top polluting countries. The European Commission said Nitrous Oxide was responsible for killing as many as 70,000 people in 2013.